Since the days of Deng Xiaoping, the Chinese Communist Party has maintained its absolute authority over China's roughly 1.4 billion people via an explicit social contract: the CCP would engineer an economic miracle that would lift hundreds of millions of people into the middle class, and in return, the Chinese people would accept the limitations on political freedoms demanded by the CCP. But with China's economy growing at its slowest pace in three decades and private sector businesses struggling with an unprecedented credit squeeze, President Xi Jinping must scramble to find a way to stabilize the country's economy in the face of the US's trade war escalation threats in order to ensure his legitimacy in the eyes of the public. And in the latest sign that another crackdown on dissenters might lie ahead (remember when China started locking up short-sellers a few years ago? ), Xi called an abrupt meeting of top party officials in Beijing on Monday, where he issued a warning about the need to maintain "political stability" in what Bloomberg described as "a fresh sign the ruling party is growing concerned about the social implications of the slowing economy." The Communist Party, Xi said, must redouble its efforts "to prevent and resolve major risks", with areas of concern facing the leadership ranging from politics and ideology to the economy, environment and external situation. "The party is facing long-term and complex tests in terms of maintaining long-term rule, reform and opening-up, a market-driven economy, and within the external environment," Xi said, according to Xinhua. "The party is facing sharp and serious dangers of a slackness in spirit, lack of ability, distance from the people, and being passive and corrupt. This is an overall judgment based on the actual situation." Suggesting that even more stimulus might be ahead, Xi said the country will maintain economic operations "within a reasonable range". 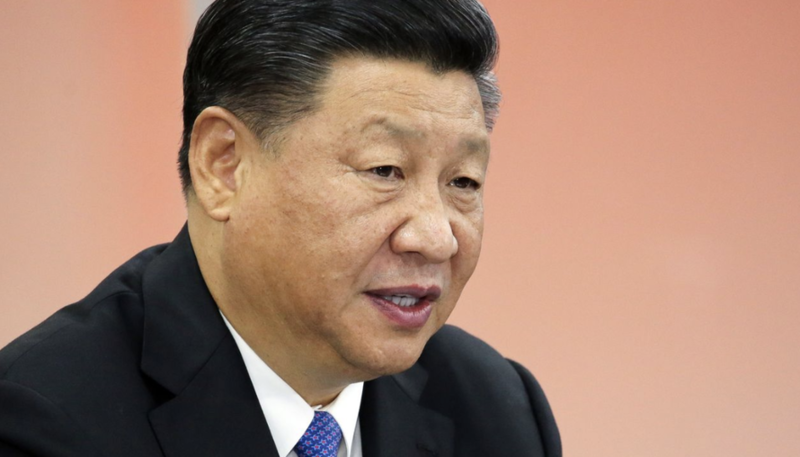 Though his isn't the first time Xi has warned about the risks of slowing economic growth, this is the first time on record where he has warned about the "serious" threats to the party’s "long-standing rule." The meeting was unusual in that, while Xi has occasionally assembled the country's 200-member Central Committee, this is the first time he has called for a meeting of top officials without assembling the entire body. One analyst said the Chinese leader wanted to draw attention to the preponderance of internal and external threats to stability in China. "Xi is seeing more and more red flashes on his monitor as things on many fronts go wrong," said Ether Yin, partner at Beijing based consultancy Trivium China. "He wanted to draw the whole system’s attention to that." Underscoring Xi's point, China recently reported the slowest annual GDP growth in 28 years. The president's remarks also coincided with data showing quarterly growth in Q4 decelerated to its slowest rate since 2009. Analysts at Deutsche Bank argued that Xi's comments could be behind the slight risk-off tone in global markets early Tuesday. Though they were "largely consistent" with previous comments, they added to a slew of slowdown concerns coming from China. DB also reiterated its economists' call for Chinese GDP growth to slide to 5.9% in Q2, before rebounding. With two key anniversaries approaching this year - the 30th anniversary of Tiananmen Square in June and 70th anniversary of the country's founding in October - a wide-ranging crackdown on dissidents is looking increasingly likely.